It is a giant of our skies and now the Airbus A380 has been named as passengers’ favourite aircraft. Readers of US publication Global Traveler ranked the world’s largest commercial jetliner as the best to travel on – the first time the esteemed accolade has been won by a non-Boeing aircraft. Presented at the 11th annual Tested Reader Survey Awards at a ceremony in Beverly Hills, California, it marked a significant milestone for the Airbus brand. Didier Nasarre, Airbus’ head of A380 business acquisition, explained that the award of Best Aircraft Type award showed a shift in passenger preference. He added that this move increases brand value for airlines and provides a better insight into their customer. Launched in 2007, the A380 has become an unmistakable sight in our skies. The double-decker behemoth dwarfs the Boeing 747, which had been the world’s largest commercial aircraft since the late-1960s. With a typical capacity of 544 passengers in a four-class configuration, the A380 has set a new precedent. Despite its success, only a handful of airlines can boast them in their fleet. Qantas, Emirates, Singapore Airlines and Lufthansa are primary operators of the A380s but they have been growing in popularity. In recent years, British Airways, Qatar Airways and, most recently, Etihad Airways have taken orders of the aircraft. 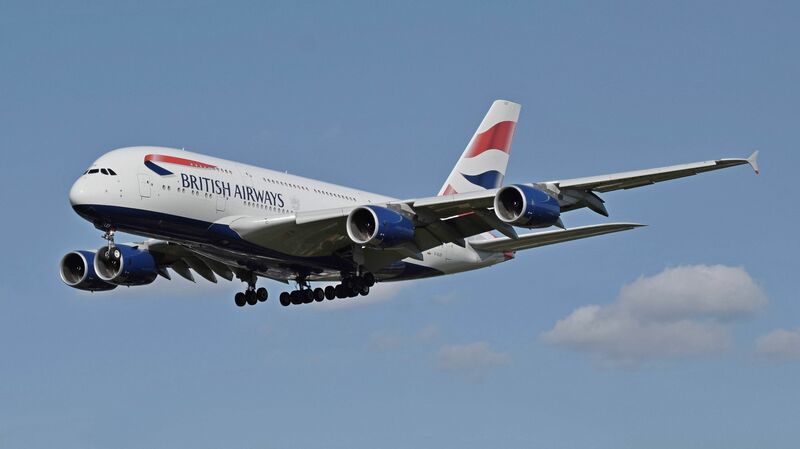 Not only is it an award-winner, the A380 has taken over the task of undergoing the world’s longest commercial flight. Qantas’ service from Sydney International Airport to Dallas-Fort Worth International Airport covers a staggering 8,577 miles taking just under 17 hours. If you have the pleasure, or not depending on your point of view, of undergoing this type of flight you can benefit from the range of services aboard an A380. Depending on which airline you travel with you can grab a drink at the onboard bar and lounge, have a facial at the beauty salons, peruse a range of duty-free gifts and tuck into fine food. Air France even introduced an upper deck electronic art gallery on some of its A380s. Etihad recently took comfort on the A380 to the next level with the introduction of The Residence. For just over £11,000 one-way, passengers can enjoy the pinnacle of first class travel. Each traveller has their own dedicated flat in the sky boasting an 81-inch lay-flat bed, 24-inch plasma televisions, a spa-like bathroom complete with hot showers and a lobby lounge. So if you’re thinking of spoiling yourself on a New York to Abu Dhabi flight – then booking into The Residence aboard an Etihad A380 is the way to go, although you may have to win the lottery first. Featured image via Grogri on Flickr.